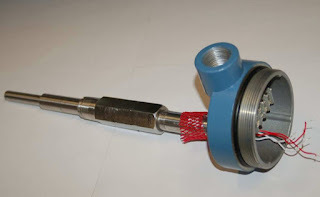 A blog providing information about industrial temperature measurement, specifically in the areas of temperature sensors. The posts will contain educational information about thermocouples, RTDs, and other common types of temperature sensors. 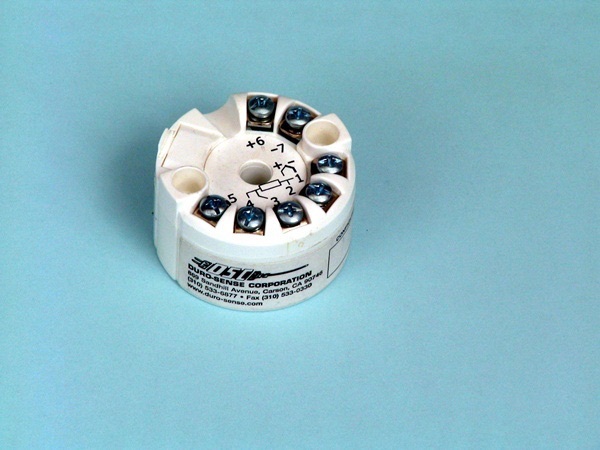 The application of these sensors will focus on aerospace, aircraft, research and development, medical, chemical, plastics processing, and power generation industries. For more, visit Duro-Sense.com or call 310-533-6877. In every thermocouple circuit there must be both a measurement junction and a reference junction: this is an inevitable consequence of forming a complete circuit (loop) using dissimilar-metal wires. As we already know, the voltage received by the measuring instrument from a thermocouple will be the difference between the voltages produced by the measurement and reference junctions. 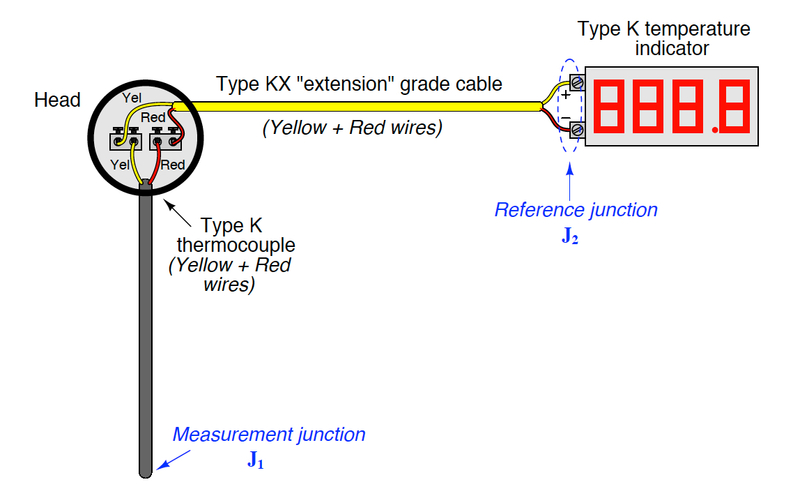 Since the purpose of most temperature instruments is to accurately measure temperature at a specific location, the effects of the reference junction’s voltage must be “compensated” for by some means, either a special circuit designed to add an additional canceling voltage or by a software algorithm to digitally cancel the reference junction’s effect. 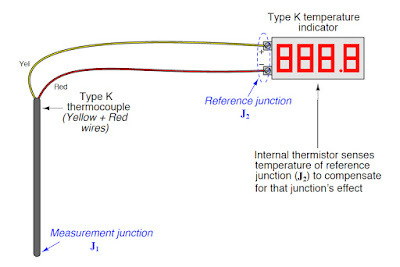 In order for reference junction compensation to be effective, the compensation mechanism must “know” the temperature of the reference junction. This fact is so obvious, it hardly requires mentioning. However, what is not so obvious is how easily this compensation may be unintentionally defeated simply by installing a different type of wire in a thermocouple circuit. 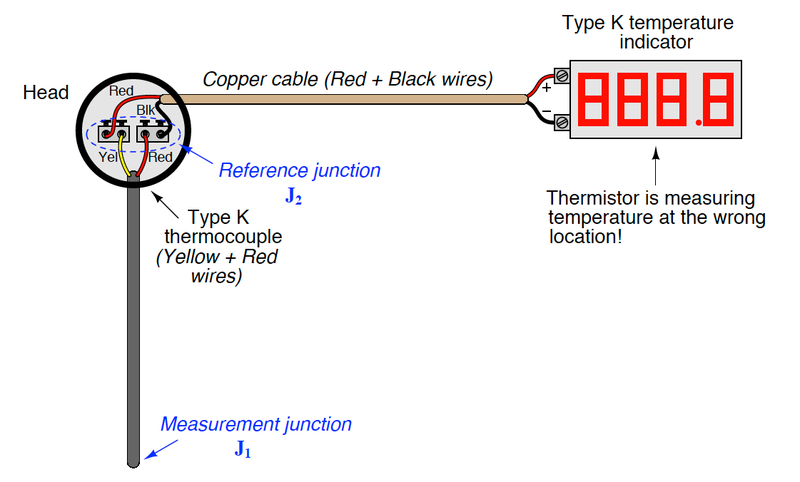 Like all modern thermocouple instruments, the panel-mounted indicator contains its own internal reference junction compensation, so that it is able to compensate for the temperature of the reference junction formed at its connection terminals, where the internal (copper) wires of the indicator join to the chromel and alumel wires of the thermocouple. 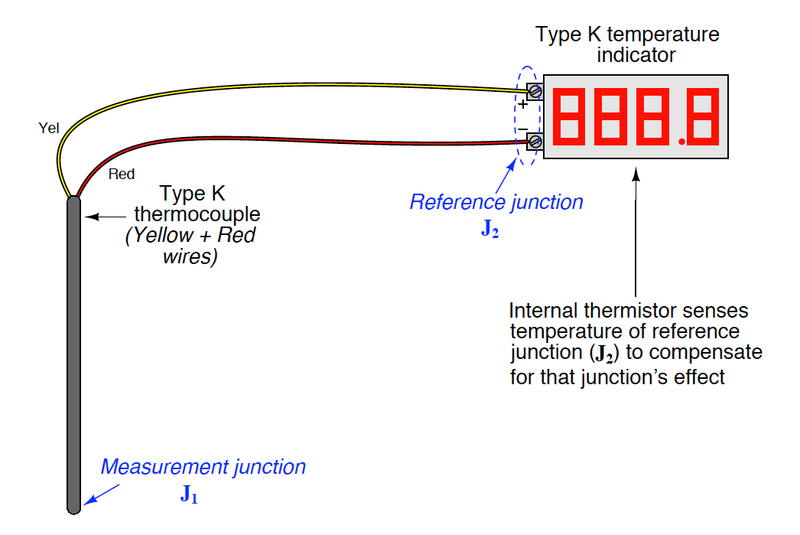 The indicator senses this junction temperature using a small thermistor thermally bonded to the connection terminals. 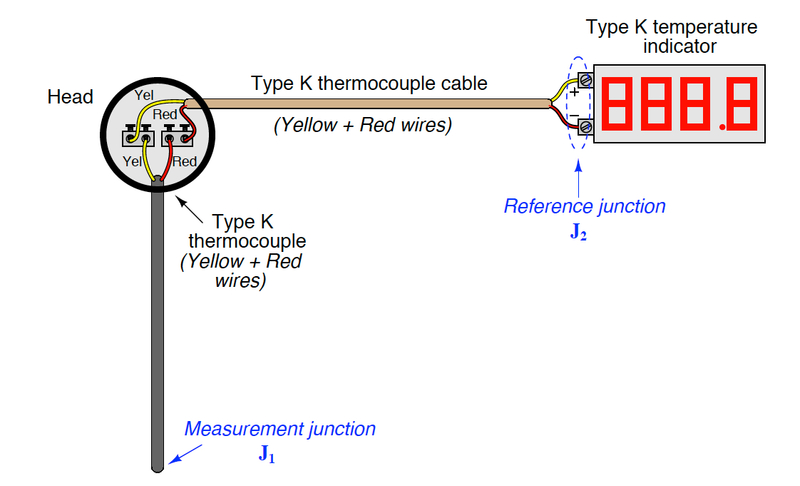 Even though nothing has changed in the thermocouple circuit except for the type of wires joining the thermocouple to the indicator, the reference junction has completely shifted position. What used to be a reference junction (at the indicator’s terminals) is no longer, because now we have copper wires joining to copper wires. Where there is no dissimilarity of metals, there can be no thermoelectric potential. At the thermocouple’s connection “head,” however we now have a joining of chromel and alumel wires to copper wires, thus forming a reference junction in a new location at the thermocouple head. What is worse, this new location is likely to be at a different temperature than the panel-mounted indicator, which means the indicator’s reference junction compensation will be compensating for the wrong temperature. The only practical way to avoid this problem is to keep the reference junction where it belongs: at the terminals of the panel-mounted instrument where the ambient temperature is measured and the reference junction’s effects accurately compensated. If we must install “extension” wire to join a thermocouple to a remotely-located instrument, that wire must be of a type that does not form another dissimilar-metal junction at the thermocouple head, but will form one at the receiving instrument. With chromel joining to chromel and alumel joining to alumel at the head, no dissimilar-metal junctions are created at the thermocouple. However, with chromel and alumel joining to copper at the indicator (again), the reference junction has been relocated to its rightful place. This means the thermocouple head’s temperature will have no effect on the performance of this measurement system, and the indicator will be able to properly compensate for any ambient temperature changes at the panel as it was designed to do. The only problem with this approach is the potential expense of thermocouple-grade cable. This is especially true with some types of thermocouples, where the metals used are somewhat exotic (e.g. types R, S, and B). 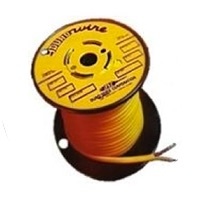 A more economical alternative, however, is to use something called extension-grade wire to make the connection between the thermocouple and the receiving instrument. “Extension-grade” thermocouple wire is made less expensive than full “thermocouple-grade” wire by choosing metal alloys similar in thermo-electrical characteristics to the real thermocouple wires within modest temperature ranges. So long as the temperatures at the thermocouple head and receiving instrument terminals don’t get too hot or too cold, the extension wire metals joining to the thermocouple wires and joining to the instrument’s copper wires need not be precisely identical to the true thermocouple wire alloys. This allows for a wider selection of metal types, some of which are substantially less expensive than the measurement-grade thermocouple alloys. Also, extension-grade wire may use insulation with a narrower temperature rating than thermocouple-grade wire, reducing cost even further. Reprinted from "Lessons In Industrial Instrumentation" by Tony R. Kuphaldt – under the terms and conditions of the Creative Commons Attribution 4.0 International Public License. Magnesium oxide (MgO), or magnesia, is a white hygroscopic solid mineral that occurs naturally. The use of compacted magnesium oxide for electrical insulation in wiring cables, heating cables, tubular heating elements, and thermocouples is well known. While magnesium oxide is the favored high temperature insulating material, many others have been tested. Some examples are aluminum oxide, crystalline silica, and beryllium oxide. 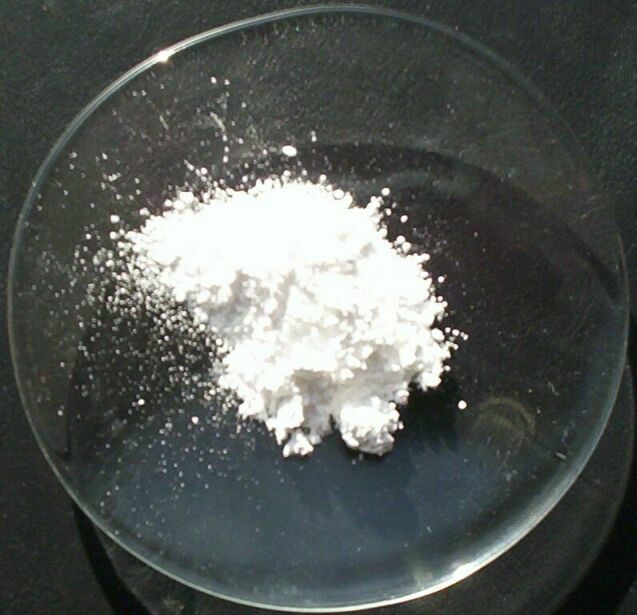 For various reasons, ranging from cost, inferior mechanical, poor electrical, and safety issues, magnesium oxide outperforms other powders in industrial applications. The MgO thermocouple is constructed by encasing a thermocouple element inside a metal sheath, surrounded by magnesium oxide (MgO). Sheath materials are typically 304 stainless steel, 316 stainless steel, Inconel 600, and 310 stainless steel. The metal sheath is then swaged or drawn down to reduce its diameter. During the drawing process, the powder undergoes considerable compaction, and reaches a compressed density of 70-80% of the crystal density. Despite this change in density, the thermocouples remain very flexible after annealing. 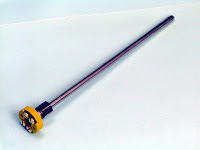 Impressively, an MgO thermocouples minimum bend diameter is equal to two times the outside diameter. 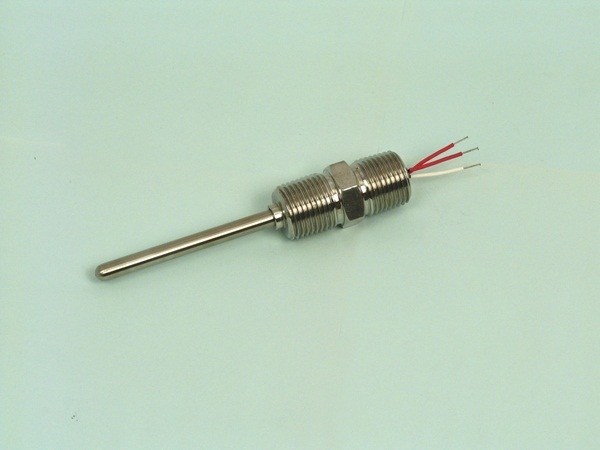 MgO thermocouples are available in a variety of sensing junctions. Grounded junctions use a thermocouple welded to the sheath and provides fast response, with good thermocouple protection. Ungrounded (isolated) junctions are insulated from sheath with magnesium oxide and are used to prevent electrical interference from affecting the signal and response is slightly slower than grounded junctions. Exposed junctions are not protected by welded end-cap, provide very quick response, but are susceptible to corrosive media. 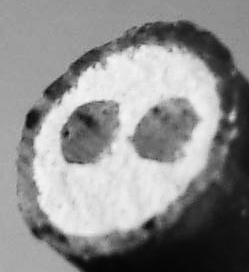 Dual element common junctions have two thermocouples with junctions welded together, and dual element isolated junctions electrically separate in the same sheath. MgO thermocouples are known for high dielectric strength, durability, malleability and quick response to temperature fluctuations. They can be used for process applications up to 2400°F and, because the measuring junction can also be sealed from the environment, they are recommended for use in high pressure, high moisture, corrosive, and environments. Thermocouples have been classified by the International Society of Automation (formerly Instrument Society of America) and the American National Standards Institute (ANSI), and are available for temperatures ranging from -200 deg. to 1700 deg.C (-330 deg. to 3100 deg.F). 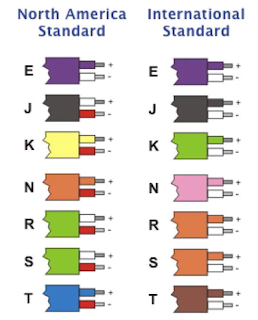 These standard tolerance thermocouples range in tolerance from ±0.5 percent to ±2 percent of true temperature. The table below presents commonly available thermocouple types and operating ranges. Thermocouples must be selected to meet the conditions of the application. Thermocouple and extension wires (used to transmit the voltage from the thermocouple to the monitoring point) are generally specified and ordered by their ANSI letter designations for wire types. Positive and negative legs are identified by the letter suffixes P and N, respectively. General size and type recommendations are based on length of service, temperature, type of atmosphere (gas or liquid constituents), and desired response times. Smaller wire gauges provide faster response but do not last as long under adverse conditions. Conversely, larger gauges provide longer service life but with longer response times. Thermowells and sheaths are recommended by thermocouple manufacturers for the extension of thermocouple life. Instruments used to convert thermocouple voltage to temperature scales are coded using the same letter designations. Failure to use matching thermocouples and instruments will result in erroneous readings. Type J thermocouples use iron for the positive leg and copper-nickel (constantin) alloys for the negative leg. They may be used unprotected where there is an oxygen-deficient atmosphere, but a thermowell is recommended for cleanliness and generally longer life. Because the iron (positive leg) wire oxidizes rapidly at temperatures over 1000 deg.F, manufacturers recommend using larger gauge wires to extend the life of the thermocouple when temperatures approach the maximum operating temperature. Type K thermocouples use chromium-nickel alloys for the positive leg and copper alloys for the negative leg. They are reliable and relatively accurate over a wide temperature range. 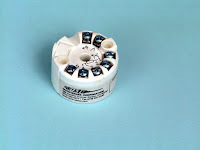 It is a good practice to protect Type K thermocouples with a suitable ceramic tube, especially in reducing atmospheres. In oxidizing atmospheres, such as electric arc furnaces, tube protection may not be necessary as long as other conditions are suitable; however, manufacturers still recommend protection for cleanliness and prevention of mechanical damage. 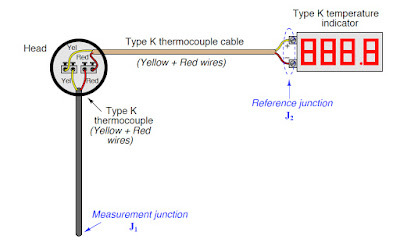 Type K thermocouples generally outlast Type J, because the iron wire in a Type J thermocouple oxidizes rapidly at higher temperatures. 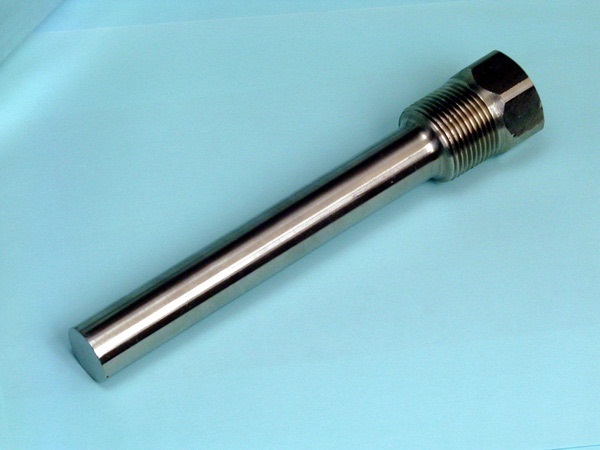 Type N thermocouples use nickel alloys for both the positive and negative legs to achieve operation at higher temperatures, especially where sulfur compounds are present. They provide better resistance to oxidation, leading to longer service life overall. Type T thermocouples use copper for the positive leg and copper-nickel alloys for the negative leg. They can be used in either oxidizing or reducing atmospheres, but, again, manufacturers recommend the use of thermowells. These are good stable thermocouples for lower temperatures. 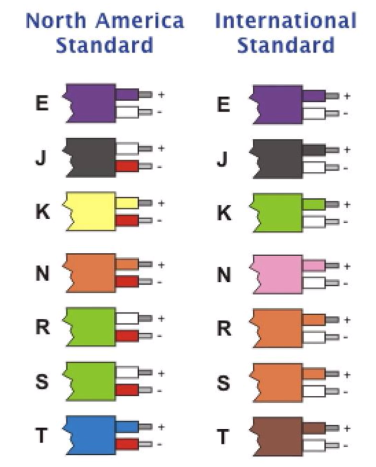 Types S, R, and B thermocouples use noble metals for the leg wires and are able to perform at higher temperatures than the common Types J and K. They are, however, easily contaminated, and reducing atmospheres are particularly detrimental to their accuracy. 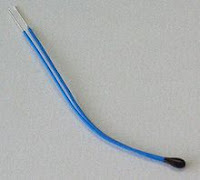 Manufacturers of such thermocouples recommend gas-tight ceramic tubes, secondary porcelain protective tubes, and a silicon carbide or metal outer protective tube depending on service locations. For more information about thermocouples, contact Duro-Sense Corporation by visiting https://duro-sense.com or calling 310-533-6877. 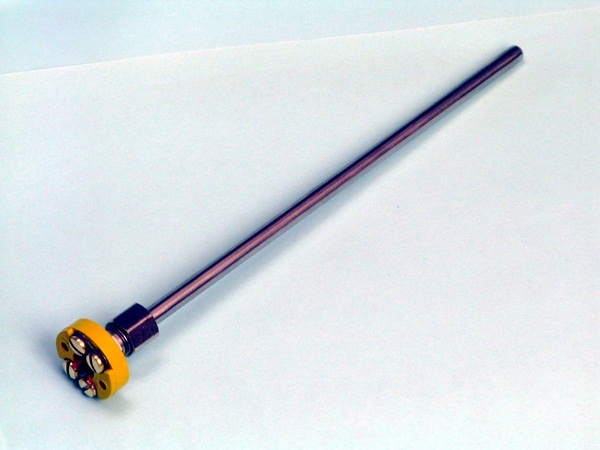 Due to their simplicity, reliability, and relatively low cost, thermocouples are widely used. They are self-powered, eliminating the need for a separate power supply to the sensor. Thermocouples are fairly durable when they are appropriately chosen for a given application. 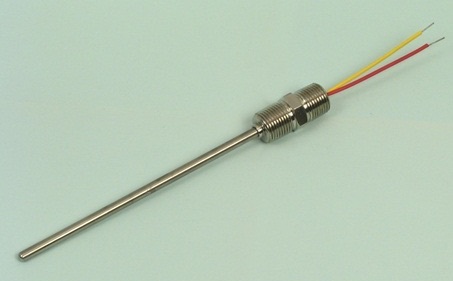 Thermocouples also can be used in high-temperature applications. 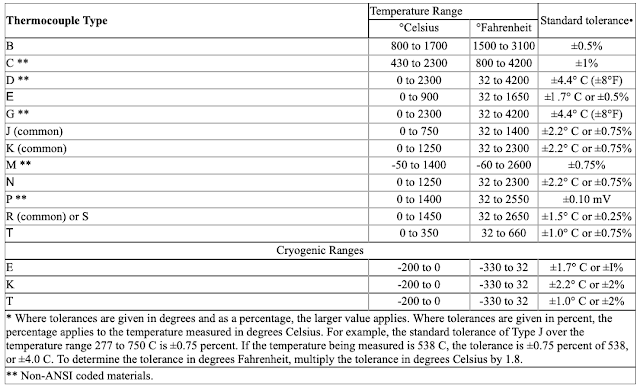 Resistance temperature detectors are attractive alternatives to thermocouples when high accuracy, stability, and linearity (i.e., how closely the calibration curve resembles a straight line) of output are desired. The superior linearity of relative resistance response to temperature allows simpler signal processing devices to be used with RTD’s than with thermocouples. Resistance Temperature Detector’s can withstand temperatures up to approximately 800 C (~1500 F). Thermistors work similarly to RTD’s in that they are a resistance measuring device, but instead of using pure metal, thermistors use a very inexpensive polymer or ceramic material as the element. One of the most important accessories for any temperature-sensing element is a pressure-tight sheath known as a thermowell. This may be thought of as a thermally conductive protrusion into a process vessel or pipe allowing a temperature-sensitive instrument to detect process temperature without opening a hole in the vessel or pipe. 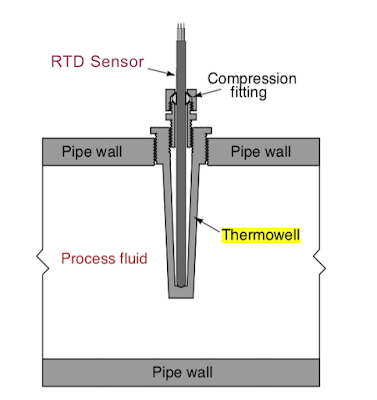 Thermowells are critically important for installations where the temperature element (RTD, thermocouple, etc.) must be replaceable without de-pressurizing the process. As useful as thermowells are, they are not without their caveats. All thermowells, no matter how well they may be installed, increase the first-order time lag of the temperature sensor by virtue of their mass and specific heat value. It should be intuitively obvious that a few pounds of metal will not heat up and cool down as fast as a few ounces’ worth of RTD or thermocouple, and therefore the addition of a thermowell to the sensing element will decrease the responsiveness of any temperature- sensing element. What is not so obvious is that such time lags, if severe enough, may compromise the stability of feedback control. A control system receiving a “delayed” temperature measurement will not see the live temperature of the process in real time due to this lag. A potential problem with thermowells is incorrect installation of the temperature-sensing element. The element must be inserted with full contact at the bottom of the thermowell’s blind hole. 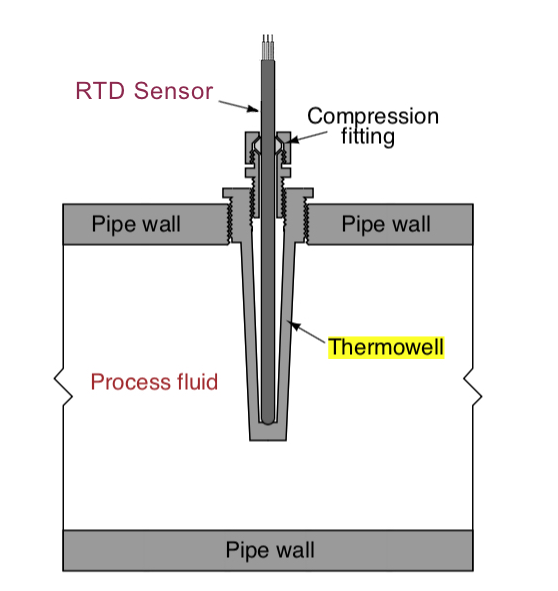 If any air gap is allowed to exist between the end of the temperature element and the bottom of the thermowell’s hole, this will add a second time lag to the measurement system26. Some thermowells include a spring clip in the bottom of the blind hole to help maintain constant metal-to-metal contact between the sensing element and the thermowell wall. Reprinted from Lessons In Industrial Instrumentation by Tony R. Kuphaldt – under the terms and conditions of the Creative Commons Attribution 4.0 International Public License. 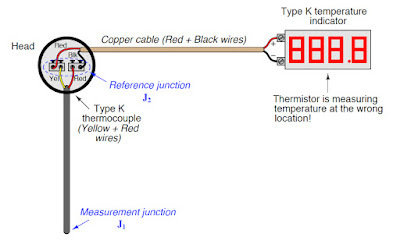 A temperature transmitter is generally described as a device, which on the input side is connected to some sort of temperature sensor and on the output side generates a signal that is amplified and modified in different ways. Normally the output signal is directly proportional to the measured temperature within a defined measurement range. Many additional features can be added depending on the type of transmitter being used. 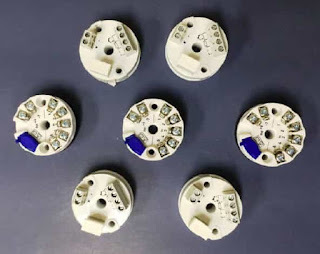 The features of the temperature transmitter are often described by using different terms with respect to technology, mounting method, functions, etc. The following list is a brief summary of these terms. Analog Transmitters: These transmitters are designed on analog circuit technology. They normally offer basic functions such as temperature linearization and sensor break technology. Sometimes they are adjustable for different measuring ranges, often with a fast response time. Digital Transmitters: This transmitter type is mainly based on a microprocessor. They are often called intelligent transmitters, because they normally offer many extra features, which are not possible to realize in analog transmitters. In-Head Transmitters: These transmitters are designed for mounting in the connection heads of temperature sensors. All Duro-Sense in-head transmitters fit into DIN B heads or larger. Special care has to be devoted to the ruggedness because of the harsh conditions that sometimes exist. DIN Rail Transmitters: DIN rail transmitters are designed to be snapped onto a DIN rail. Duro-Sense DIN rail transmitters fit on a 35mm rail according to DIN EN 50022. RTD Transmitters: RTD transmitters are used only for RTD sensors. (Pt100, Pt1000, Ni100, etc.). Normally they can handle only one RTD type. Most Duro-Sense transmitters can handle more than one type of RTD and are either fix- ranged or adjustable. They all have linear output. Thermocouple Transmitters: Thermocouple transmitters measure a MV signal form the thermocouple and compensates for the temperature of the cold junction. The cold junction compensation is normally made by measuring the terminal temperature. Alternatively, some transmitters can be adjusted to compensate for an external fixed cold junction temperature. Pure thermocouple transmitters are often not temperature linearized due to the complicated unlinearity of the thermocouples. Analog Output: The output signal is a current (4-20mA). Some transmitters are available with 0-20mA or 0-10mA output. The signal is normally proportional to the measured value within a defined measurement range. Digital Output: The measured value (temperature) is presented as a binary coded message. So called Fieldbus transmitters use this technique. The Fieldbus transmitters on the market today use different standards for the communication thus creating some problems when integrating them with other instrumentation. Examples of standard available are: PROFIBUS, Interbus, Foundation Fieldbus, LonWorks and CAN-bus. Analog and Digital Output: The HART transmitters have an analog output with a superimposed digital signal on the same wires. Typically, the analog signal is used for normal measurements and the digital signal only for temporary measurements, because of the low communication speed. The digital signal is mainly used for configuration and status information. Isolated Transmitters: Isolated transmitters have no leading connections between circuits that are isolated from each other. The isolation effectively eliminates the risk for circulating currents and facilitates the connection of transmitters to control systems with grounded inputs. Non-Isolated Transmitters: These transmitters have leading connections between, for instance, input and output circuits. They should be used with care. For more information on temperature transmitters, visit https://duro-sense.com or call 310-533-6877. Duro-Sense Corporation provides the thermocouples, RTDs, thermowells, and accessories to the process measurement and control industry. Duro-Sense Engineers are some of the industry's most qualified people, working in the most modern facilities to bring proven solutions to your most difficult temperature sensing problems.